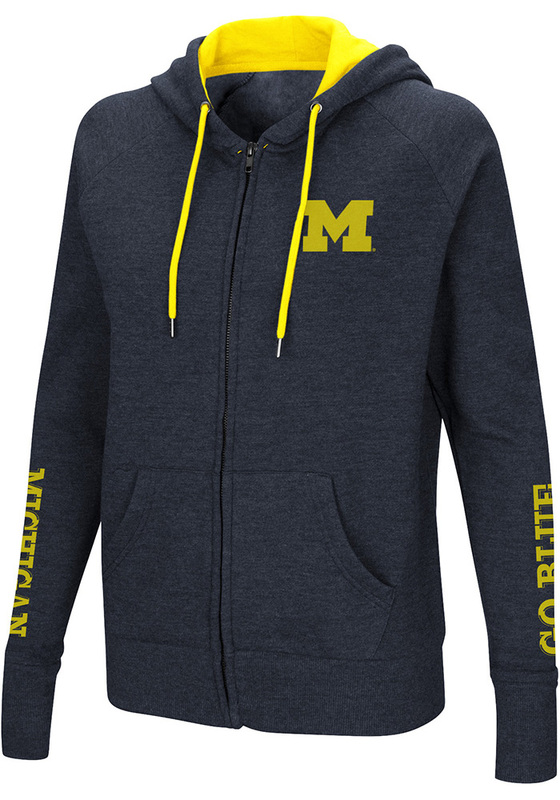 Let your Michigan colors show in this Michigan Wolverines Full Zip Jacket. You'll love showing off your team spirit in this Womens Navy Blue Contract Long Sleeve Full Zip. Make a statement in this Michigan Wolverines Womens Long Sleeve Full Zip Jacket, which features a washed out screen print team graphic on left chest and sleeves.